Cisco Login Enhancements | CCIE or Null! Configure your router to watch for login attacks. Even though we can configure SSH for secure management, this still does not stop a random person from connecting to your device in an attempt to guess the password. In some cases this could be a bored user who is just curious or in worst cases it could be a malicious user trying to perform a dictionary attack on your password. Something we can do is to configure our router to start blocking login request after so many failed attempts occur within a specific time frame. Now this isn’t going to secure your router indefinitely but it is a simple preventative measure they will slow down any real dictionary attacks and will most likely discourage any bored employees in hopes that they lose interest or remember they have other work to do. Yep one command. This will block all logins for 120 seconds when 5 failed attempts occur within 60 seconds of each other. Below is a breakdown of the block-for command, and notice all the timers are in seconds. 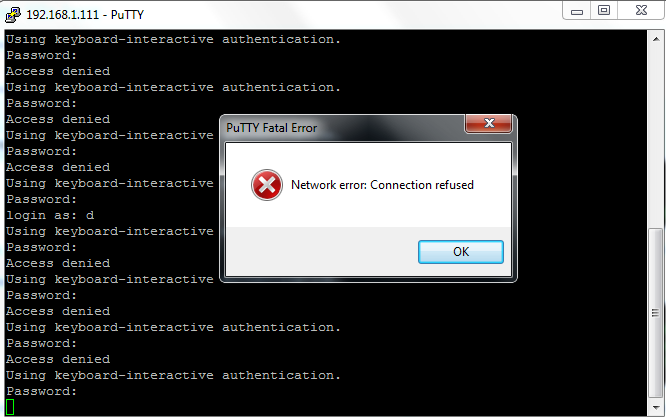 Now when the router notices these failed attempts it enters a “quiet mode”. This quiet mode is what tells the router to block all further login attempts until the timer expires. Pretty cool right? We have now taught the router to protect itself. While this is a nice feature to have configured the last thing you want is to find yourself locked out of your own equipment. So what we can do is configure the router to accept login attempts even when quiet mode is enabled, while that might sound counter-productive to this whole feature it will be something you definitely want to do. The first thing I did was create an ACL (SSH_MGMT) that permits my management workstation (or management subnets) and then I issue login quiet-mode access-class command and reference the ACL I created. This tells the router to accept login requests from the hosts allowed within the quiet-mode ACL when quiet mode is on and the router is blocking login attempts from everyone else. While the quiet mode ACL will allow login attempts from hosts matched in the ACL, those very same hosts can trigger the router to enter quiet mode. If you already have an access-class assigned to the VTY lines and quiet mode kicks in, the quiet mode ACL will be applied during the block-for time. However when the timer expires the quiet mode ACL is removed and the original ACL back in place.